The title of this dish will have to be very exact! 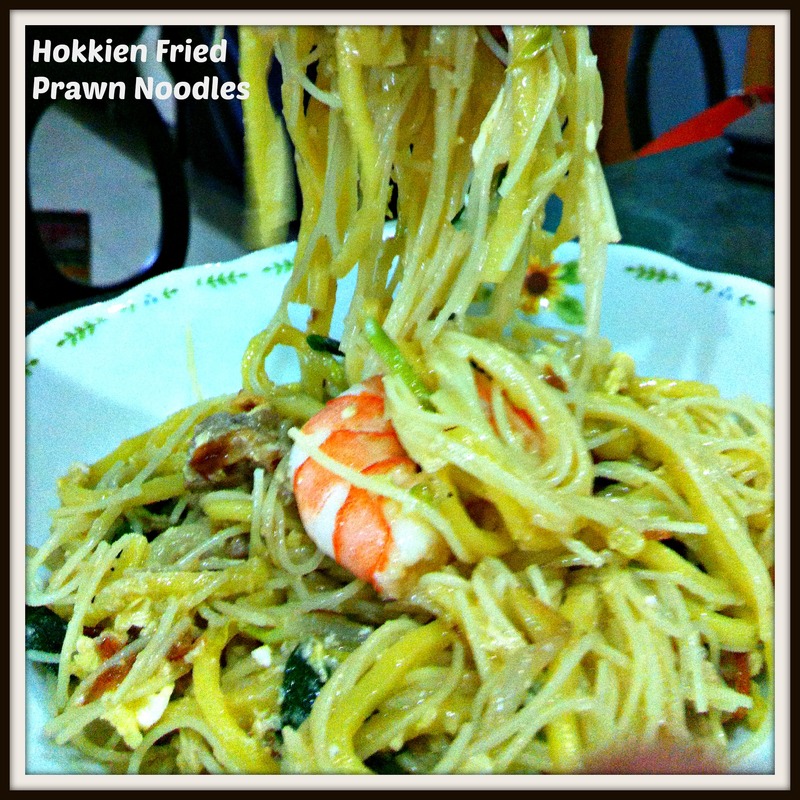 It should be called “Singapore Fried Hokkien Prawn Noodles” or “Singapore Hokkien Hay Noodles”. Singapore has to be included because it is uniquely Singapore and you can’t find elsewhere, not even in Malaysia. 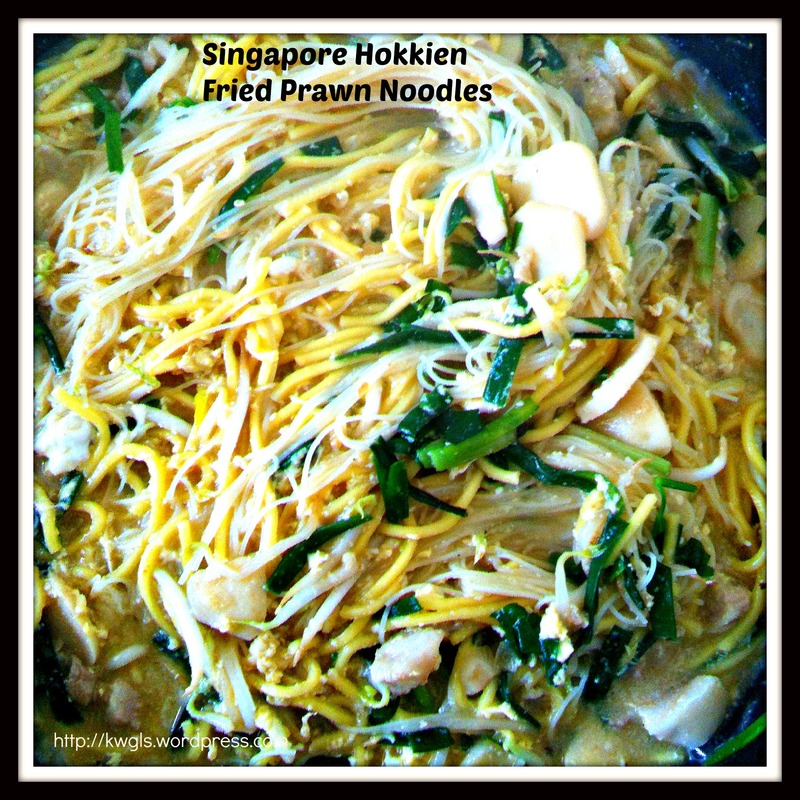 The word “Fried” have to be used because it had to differentiate the Penang prawn noodles which is a soup based noodles as explained below. 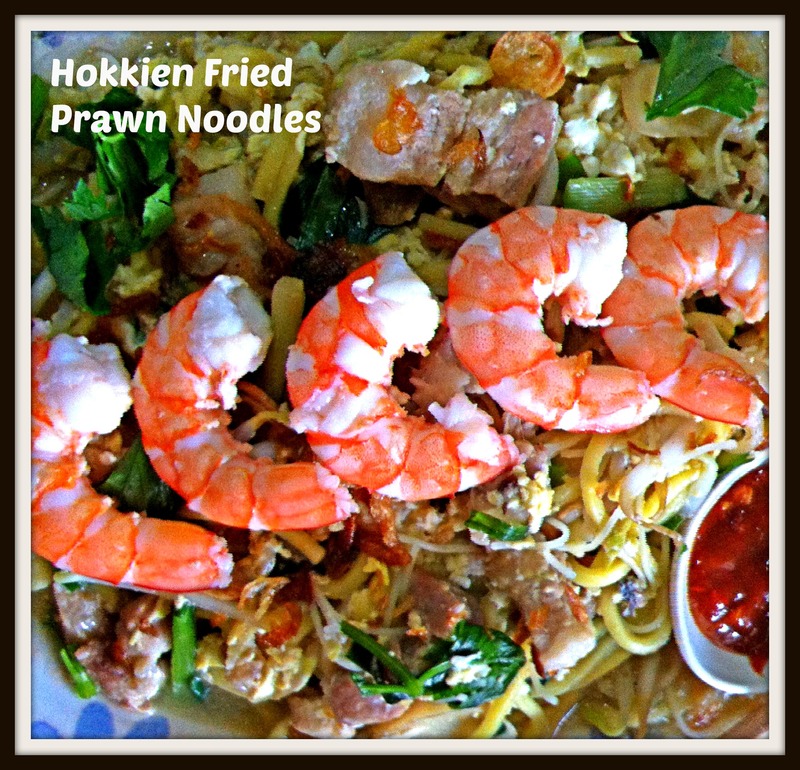 “Hokkien” have to be included because “prawn mee” alone can mean the soup version of prawn mee famous in Penang whereby you used the prawn broth and to make the soup and usually served with watercress (kangkong), pork ribs and blanched prawns. 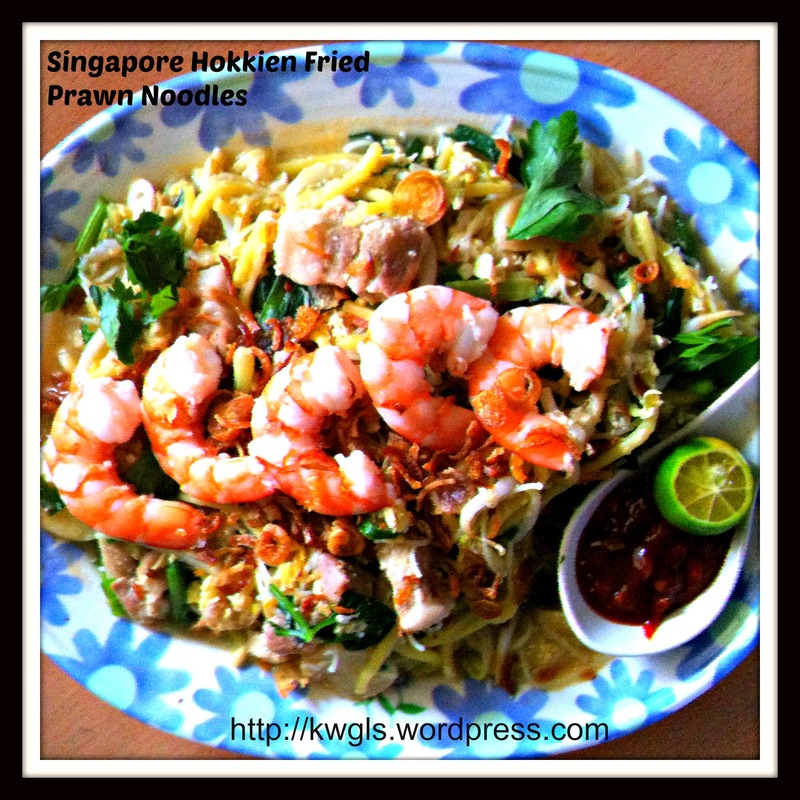 Omitting the prawns and Singapore will become Hokkien Mee, and it can refer to another type of noodle dish that was commonly eaten in Kuala Lumpur usually fried with black sauce, cabbages, prawns and pork. 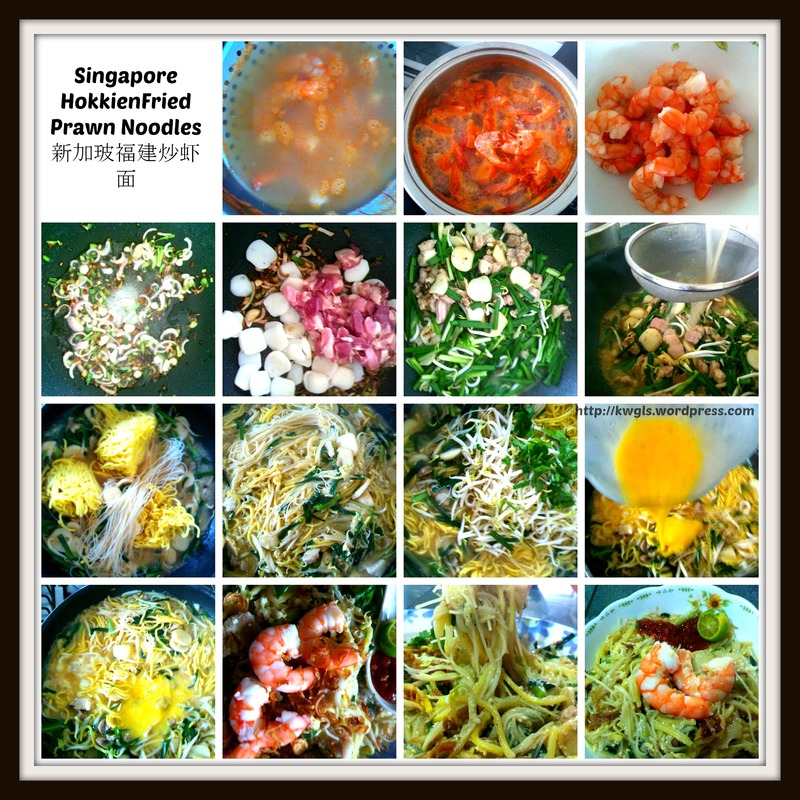 Readers who wanted to have a more detailed distinction of various prawn noodles can refer to the explanation here. 3 small onions cut into small slices and some chopped spring onion (optional). You can consider adding in chopped garlics as well. The success of this dish is very much depending on the prawn broth. The prawn broth should be thick, no fishy and tasty. Generally, you may wish to keep all the prawn heads from the meals that you have prepared previously. The more prawn head you have the better will your broth be. 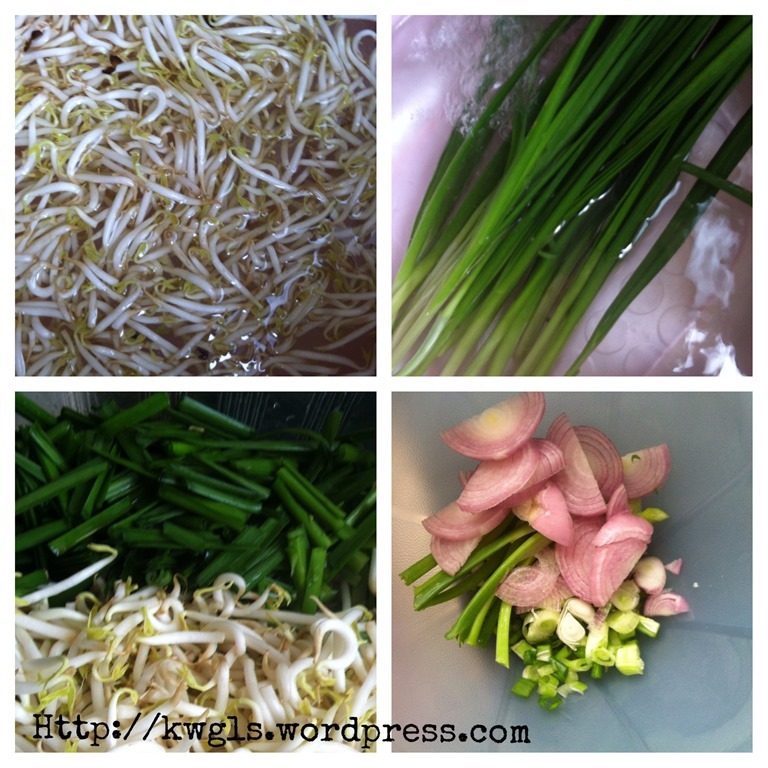 In a pot, place some water with 2 spring onions and some ginger slices. 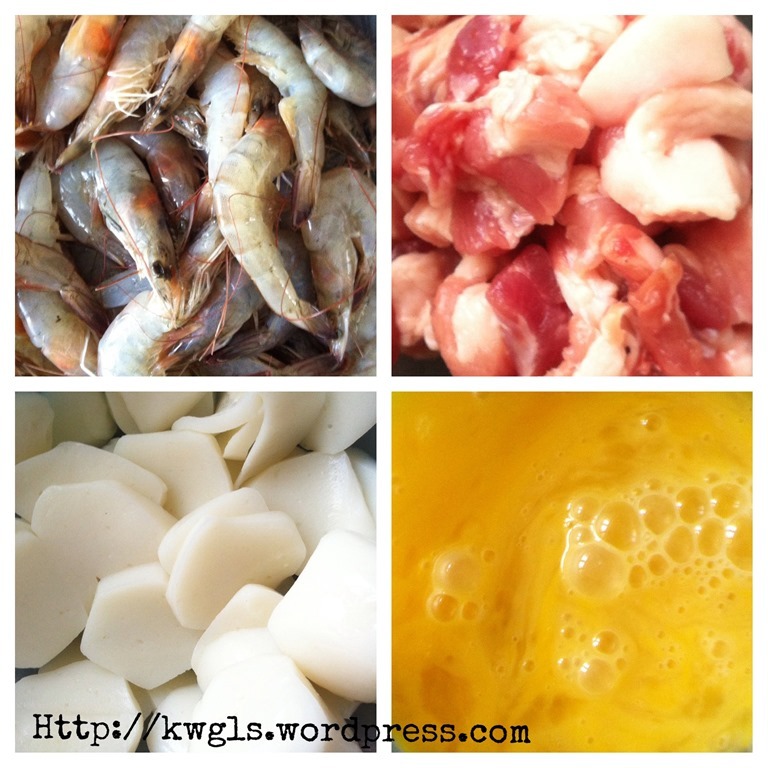 The purpose of adding these is to get rid of the fishy smell associated with the prawns. 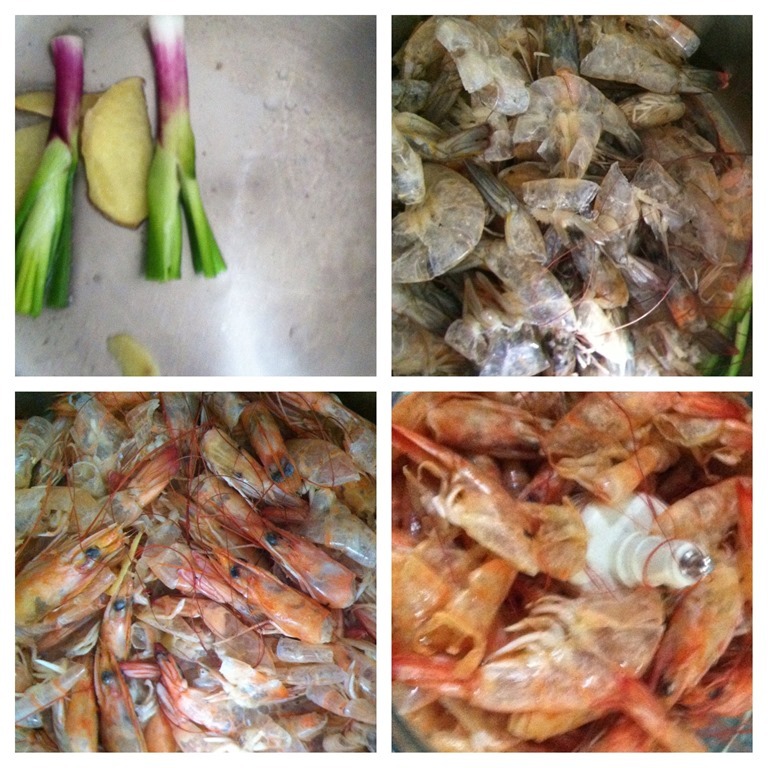 Bring the water to boil under high heat, add prawn heads and shells and boiled until the prawn heads are cooked. This is rather fast and needs may be less than 5 minutes. Sieve and transfer all prawn shells to a food processor. Boil for about 30 minutes under medium heat. Sieve and the prawn stock are ready for next use. Place the ingredients in this order. Pork belly, fish balls, chives. Fried for about 3 minutes until all the ingredients are well mixed. It is ok if the meat is not cooked as it will continue to cook in later processes. Note: Traditionally, lard is used for cooking this dish, however, due to health reasons, vegetable cooking oil were used instead of lard. Of course, there will be a compromise in taste but the taste difference wouldn’t be that obvious. Sieve the prawn stock into the pan and let it boiled for 1-2 minutes. 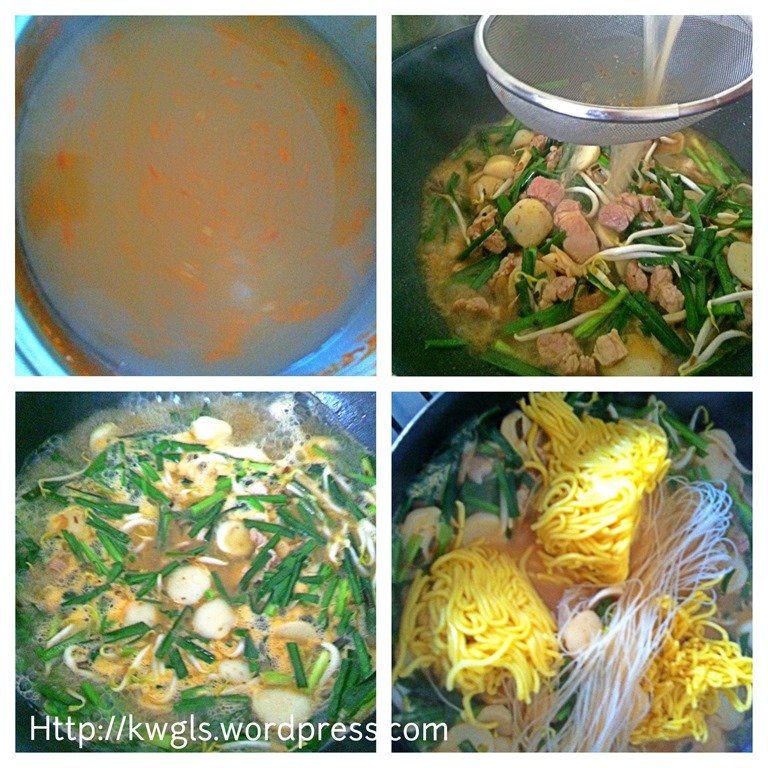 Throw in the yellow noodles and rice vermicelli and let it cook for another 3 minutes. 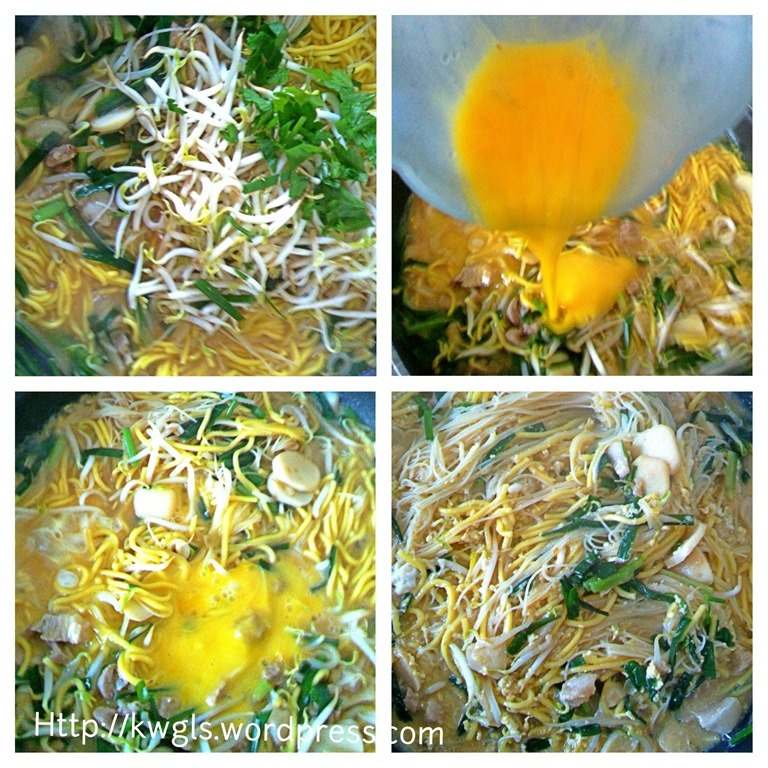 Add bean sprout and beaten eggs to the pan. The beaten eggs will serve as a thickener to the noodles gravy and add an additional fragrance. 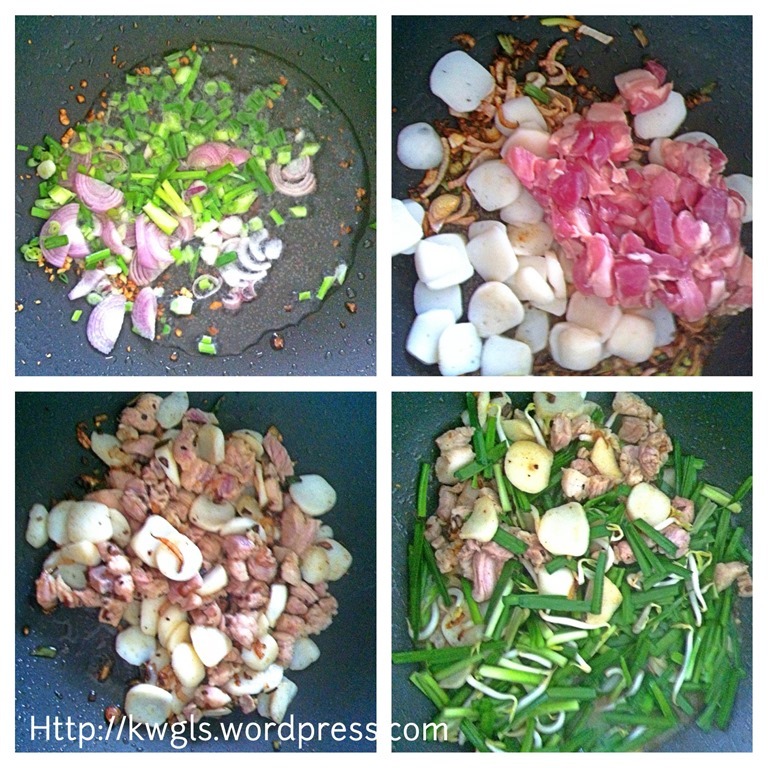 Add additional seasonings if necessary (fish sauce, mushrooms concentrate, white pepper etc.… ) and mixed well. Boiled for another 2 minutes and let it rest in the frying pan for another 10 minutes before serving. This will let the prawn stock have adequate time to penetrate the noodles and rice vermicelli. Note that the noodles and rice vermicelli will expand. Should you find that there is too dry, just add in some hot water and stir to make it slightly watery. Sprinkle with deep fried onion and chopped spring onion or Chinese celery. Usually served in a plate with lime and Sambal Belachan. 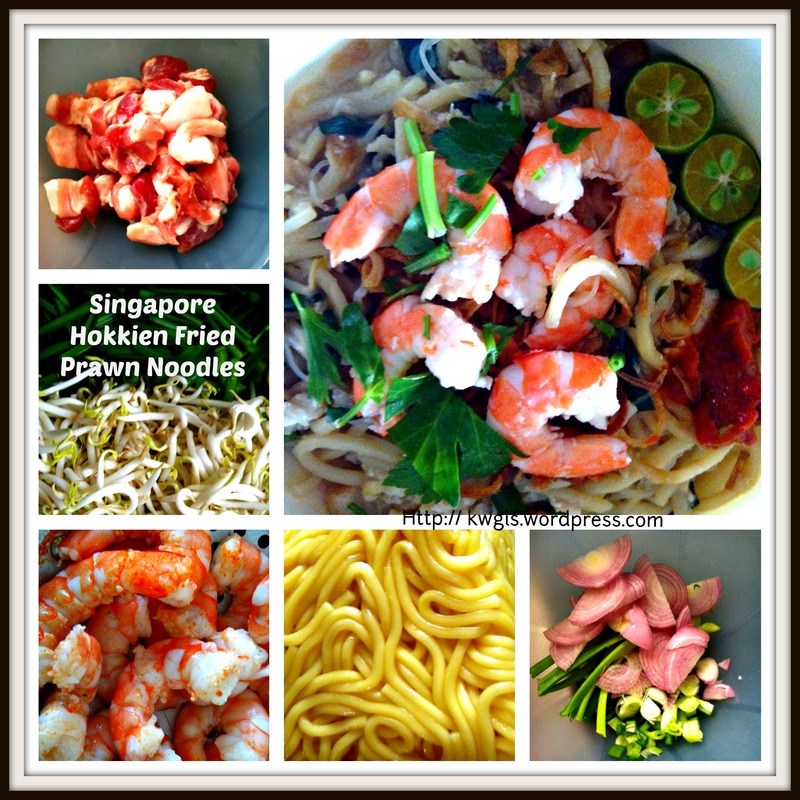 Singapore Hokkien Prawn Noodles are unique in Singapore and should not be confused with Penang Prawn Noodles and Kuala Lumpur Hokkien Noodles. 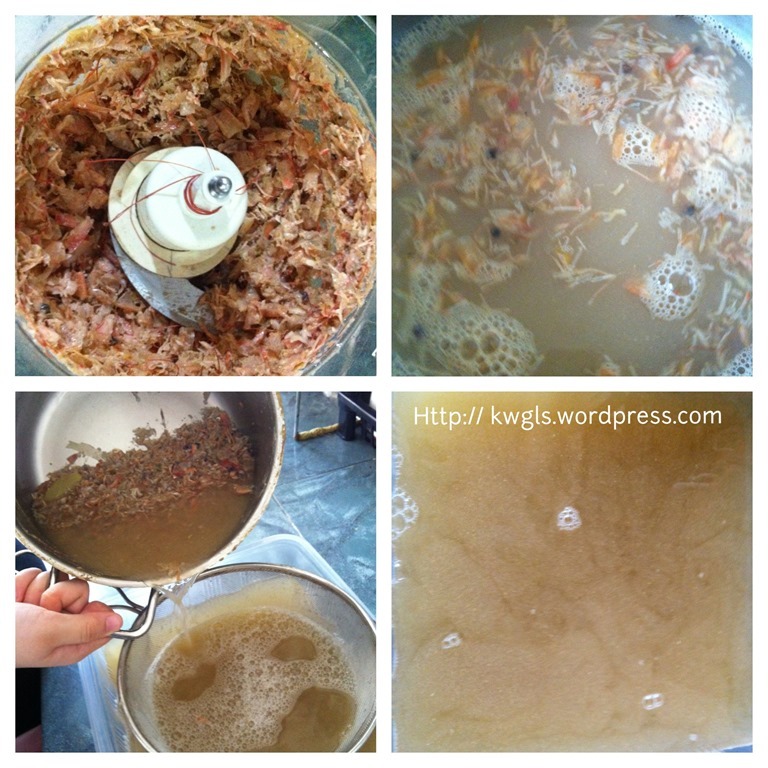 Using the prawn heads to make prawn stock is a good way of maximizing the recovery of the prawns. 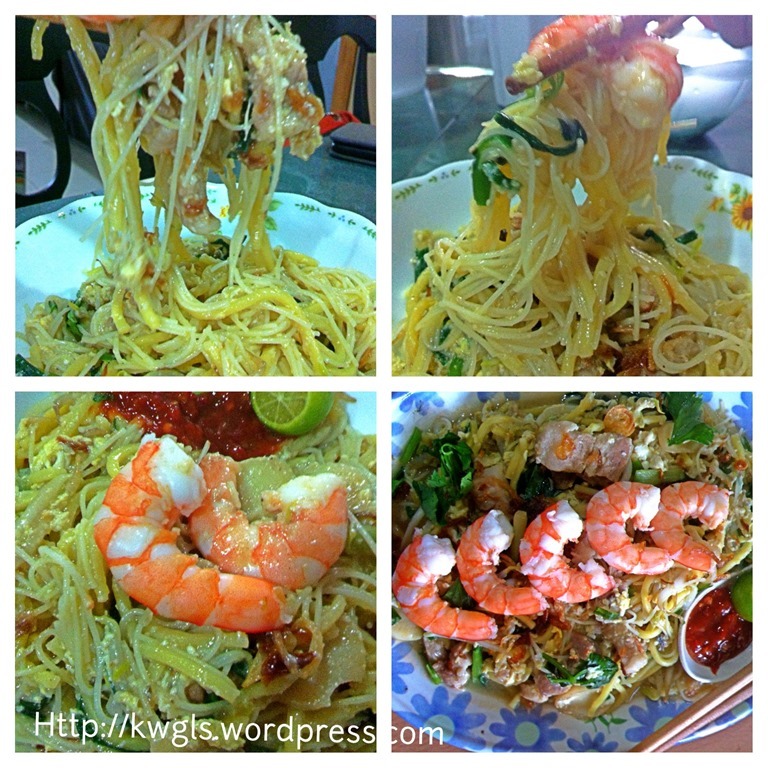 Save the prawn heads from other dishes, make the prawn stocks and used it to cook the noodles. This will be very tasty and not much seasonings were needed. Chicken bones can be added to make it a much tastier broth. Traditionally, lard is used for the dish but this is not encouraging because it may cause coronary complications. 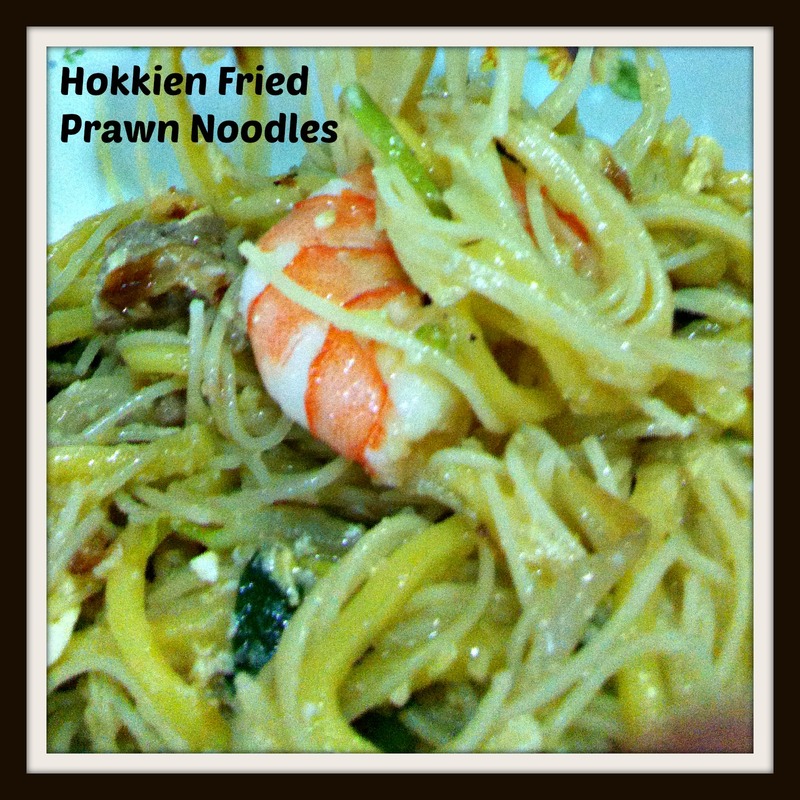 The noodles cooked should be soft and moist with a fragrance of meat (pork or chicken) and prawns. The lime makes the dish slightly sour and adding chili will bring the taste to another higher level of enjoyment! 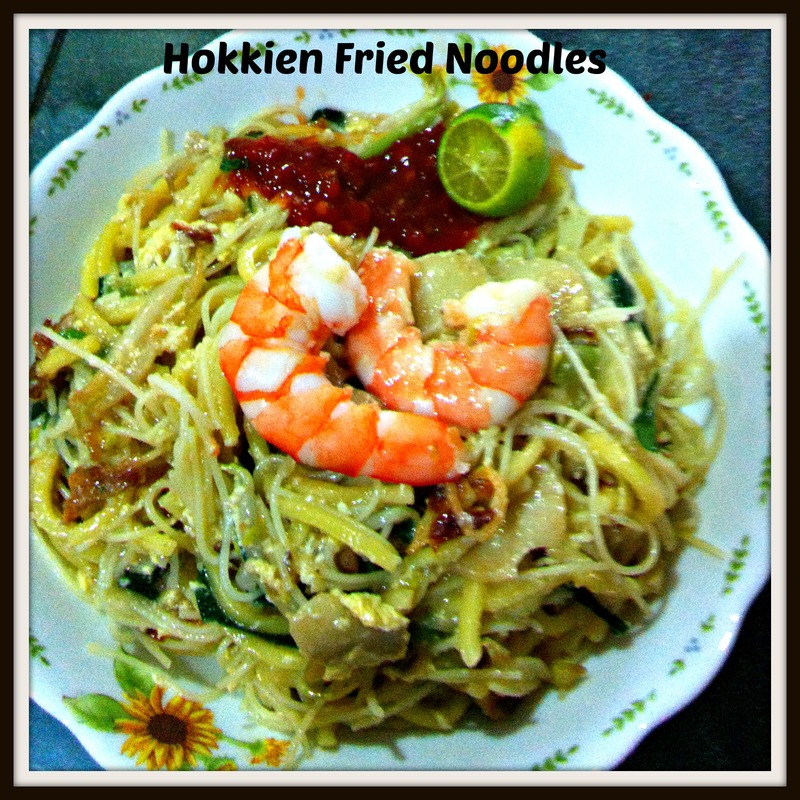 Lastly, hope you LIKE this sharing and do try to make the dish and let me know whether it suit your taste buds. 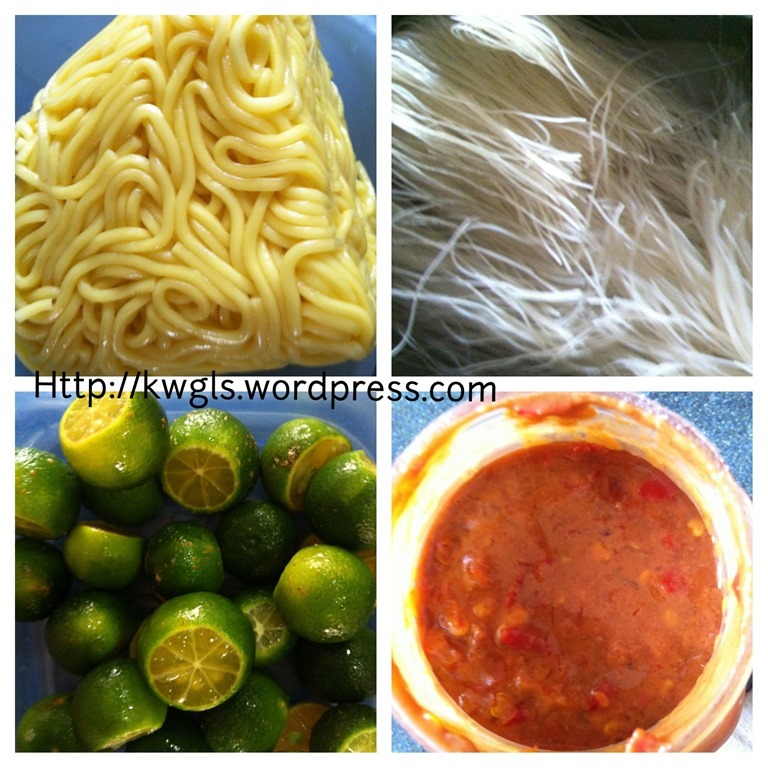 This entry was posted in Dish and tagged 8, Asian, broth, china, courtesy, dish, distinction, explanation, Fujian, hae mee, Hokkien, Hokkien_mee, immigrants, ingredients, INTRODUCTION, Kuala, lard, Lumpur, malaysia, noodles, Penang, pork, postaday, Prawn, Prawns, province, readers, Sambal, sambal belachan, Sauce, singapore, singapore chinese, singapore fried prawn noodles, soup, Source, Southeast, version, wikipedia. Bookmark the permalink. Hi, thanks for this Singpore Prwan noodle. In Pg, we fry the heads with shells with oil and salt. Oil n salt will make the stock very aroma. If you add in chicken feets, pork skins, the skin will have more texture. I will try your recipe. Very well researched article. Thank you! 🙂 Will try it here in Houston, Texas. For better fragrant to the dish, try stir frying the noodles with lots of garlic first, set aside before you stir fry the remaining ingredients. Thereafter, add in the noodles.